Over the last quarter century, scientists have discovered a handful of materials that can be converted from magnetic insulators or metals into “superconductors” able to carry electrical current with no energy loss-an enormously promising idea for new types of zero-resistance electronics and energy-storage and transmission systems. At present, a key step to achieving superconductivity (in addition to keeping the materials very cold) is to substitute a different kind of atom into some positions of the “parent” material’s crystal framework. Until now, scientists thought this process, called doping, simply added more electrons or other charge carriers, thereby rendering the electronic environment more conducive to the formation of electron pairs that could move with no energy loss if the material is held at a certain chilly temperature. Now, new studies of an iron-based superconductor by an international team of scientists – including physicists from the U.S. Department of Energy’s Brookhaven National Laboratory and Cornell University – suggest that the story is somewhat more complicated. Their research, published online in Nature Physics February 17, 2013,* demonstrates that doping, in addition to adding electrons, dramatically alters the atomic-scale electronic structure of the parent material, with important consequences for the behavior of the current-carrying electrons. “The key observation – that dopant atoms introduce elongated impurity states which scatter electrons in the material in an asymmetric way – helps explain most of the unusual properties,” said J.C. Séamus Davis, the study’s lead author, who directs the Center for Emergent Superconductivity at Brookhaven Lab and is also the J.G. White Distinguished Professor of Physical Sciences at Cornell University. “Our findings provide a new starting point for theorists trying to grapple with how these materials work, and could potentially point to new ways to design superconductors with improved properties,” he said. The researchers used a technique developed by Davis called spectroscopic imaging scanning tunneling microscopy to visualize the electronic properties around individual dopant atoms in the parent material, and to simultaneously monitor how electrons scatter around these dopants (in this case, cobalt). Earlier studies had shown that certain electronic properties of the non-superconducting “parent” material had a strong directional dependence – for example, electrons were able to move more easily in one direction through the crystal than in the perpendicular direction. However, in those studies, the signal of a strong directional dependence only appeared when the scientists put the dopants into the material, and got stronger the more dopants they added. 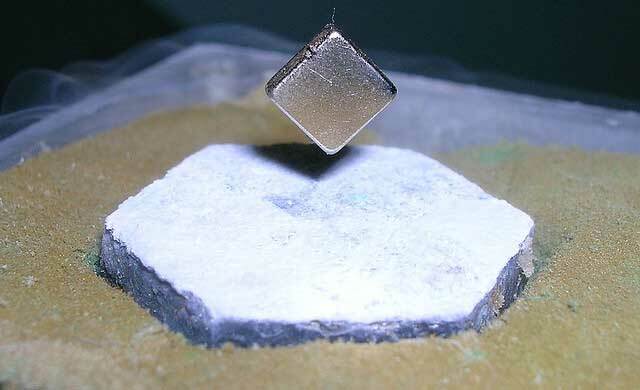 Before this, the assumption was that dopants simply added electrons, and that the material’s properties – including the emergence of superconductivity – were due to some intrinsic characteristic (for example, the alternating alignments of electron spins on adjacent atoms) that resulted in a directional dependence. 1) At each cobalt dopant atom, there is an elongated impurity state-a quantum mechanical state bound to the cobalt atom-that aligns in a particular direction (the same for each cobalt atom) relative to the overall crystal. 2) These oblong, aligned impurity states scatter the current-carrying electrons away from the impurity state in an asymmetric way – similar to the way ripples of water would propagate asymmetrically outward from an elongated stick thrown into a pond, rather than forming the circular pattern produced by a pebble. “It’s possible that what we’ve found could be similar to an effect dopants had on early semiconductors,” Davis said. “Early versions of these materials, though useful, had nowhere near the performance as those developed after the 1970s, when scientists at Bell Labs figured out a way to move the dopant atoms far away from the electrons so they wouldn’t mess up the electronic structure.” That advance made possible all the microelectronics we now use every day, including cell phones, he said.